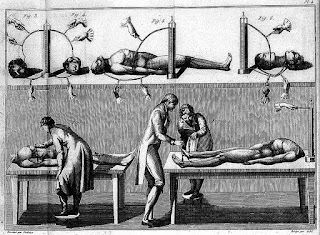 The physicist and professor Giovanni Aldini, whose experiment in trying to bring life to a human corpse is thought to have inspired Mary Shelley’s novel Frankenstein, was born on this day in 1762 in Bologna. 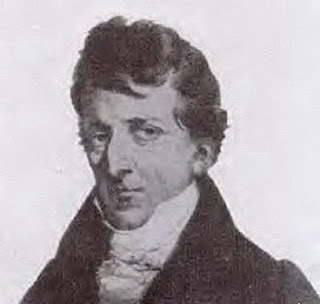 The nephew of Luigi Galvani, who discovered the phenomenon that became known as galvinism, one of Aldini’s goals in life was to build on his uncle’s work in the field of bioelectricity. Galvani’s discovery that the limbs of a dead frog could be made to move by the stimulation of electricity sparked an intellectual argument with his rival physicist Alessandro Volta that he found uncomfortable. 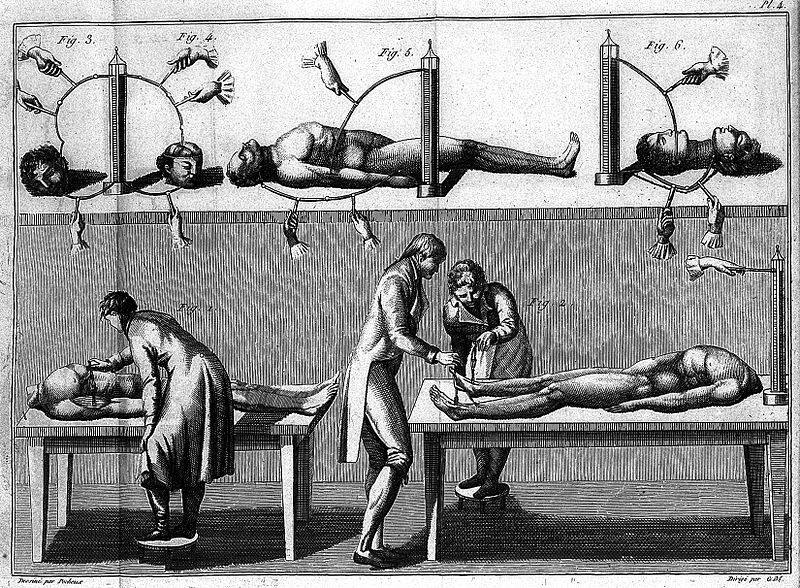 When he was then removed his academic and public positions after Bologna became part of the French Cisalpine Republic in the late 18th century, Galvani was unable to progress his experiments as he would have liked. Aldini essentially picked up his uncle’s mantle and was determined to discover whether the effect of an electrical impulse on the body of a frog could be reproduced in a human being. His most famous experiment came in 1803, when he was given permission to test his electrical equipment on the corpse of George Forster shortly after he had been hanged at Newgate Prison in London, following his conviction for the murder of his wife and daughter, whose bodies were found in the Paddington Canal not long after the last sighting of them alive at the nearby Mitre Tavern. Forster’s body was taken directly from the gallows to a nearby house, where Aldini conducted experiments using conducting rods and a battery, the existence of which, ironically, he owed to his uncle’s rival, Volta. In front of an audience of surgeons, Aldini successful made the corpse’s facial muscles contort, causing his jaw to twitch and one eye to open. He was then able to cause the dead body to raise his right arm with a clenched fist, and to produce movement in the thighs and lower legs. The future Mary Shelley would have been only five at the time yet as she grew up she learned all about Galvani, Volta and Aldini through two friends of her father, Humphry Davy (famously the inventor of the Davy safety lamp) and William Nicholson, who were leading electrical researchers. 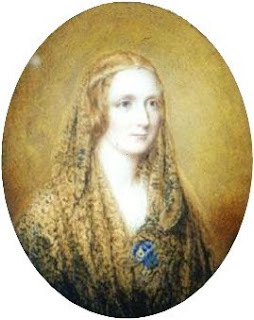 During the summer of 1816, it is known that Mary Shelley was in Geneva with her future husband, the poet Percy Shelley, and Lord Byron, and that among the topics of their conversation was the potential for re-animating a corpse with electricity. At around the same time, the three friends, along with another writer, John Polidori, decided they would have a competition to see who could write the best horror story. Mary came up with a tale of a young scientist, Victor Frankenstein, who creates a grotesque, monstrous but humanoid creature, which he brings to life with electrical charges. The brother of Count Antonio Aldini, a statesman, Aldini followed Galvani in becoming professor of physics at the University of Bologna. He devoted himself to his scientific work, which was mainly focussed on galvanism, anatomy and its medical applications, along with the construction and illumination of lighthouses, and with experiments for preserving human life and material objects from destruction by fire. He died in Milan in 1834, bequeathing a considerable sum to found a school of natural science for artisans at Bologna. 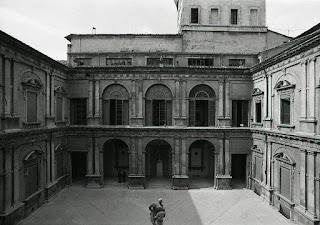 The University of Bologna, the oldest university in continuous use in the world, has sites dotted around the centre of Bologna. 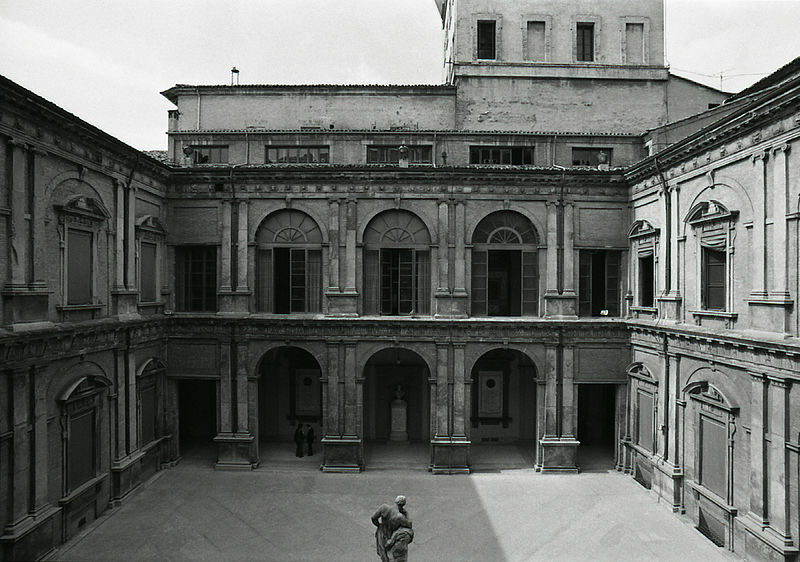 Its headquarters are in the Palazzo Poggi, in Via Zamboni, about 1km (0.62 miles) northeast of the Fountain of Neptune just around the corner from Piazza Maggiore. The palace is adorned with many frescoes painted by Mannerist and early Baroque artists, including Prospero Fontana, Pellegrino Tebaldi and Niccolò dell'Abbate. 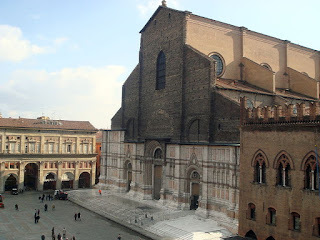 Bologna is a progressive, left-leaning city with a lively student population and considerable history and culture. Italians regard it as one of the country’s most beautiful cities and has the advantage of being not nearly as busy as Rome, Florence and Venice, which tend to the the magnets for overseas visitors. The Piazza Maggiore, the medieval Asinelli and Garisenda towers and the Basilica of San Petronio, with its half-finished facade - pink marble at the bottom with bare bricks above - are among the main sights. Another advantage, apart from the lack of crowds, in the summer months are the 45km of porticoed walkways.